If the message wasn't clear enough, one of the main strengths of React Native is being able to leverage Web technologies. Think JSFiddle, CodePen or JS Bin for Mobile Apps. 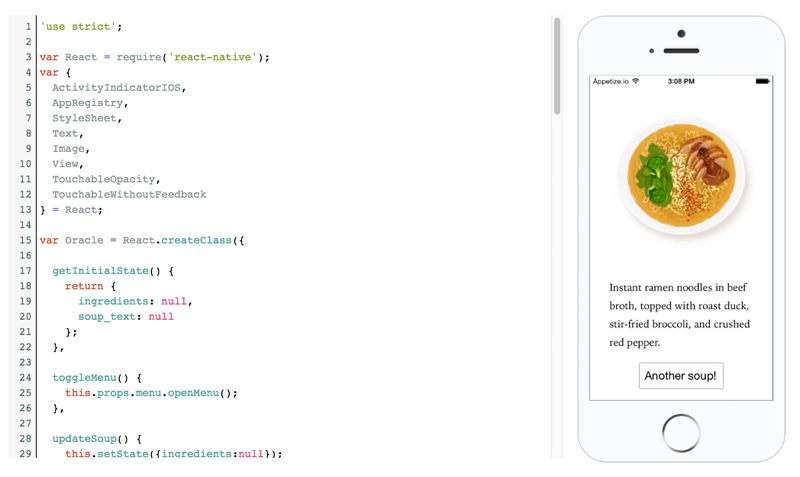 All of this is possible thanks to the Appetize.io's iOS & Android Simulators in the Browser.